BAOTecS (Broad Area Outreach Technology Study) is a web-based educational program developed in the efforts to decrease the volume of plastics flowing into river systems around the world. 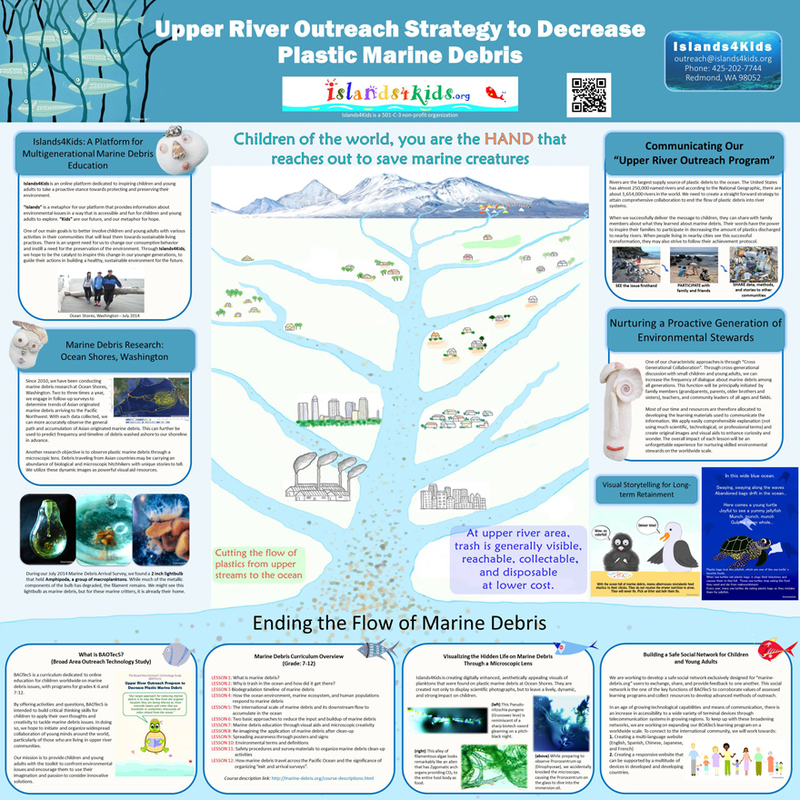 This “Upper River Outreach Strategy to Decrease Plastic Marine Debris” is operated by our non-profit organization, “ISLANDS4KIDS”. Our outreach program is dedicated to educating children and young adults worldwide, especially those living by upper streams, riverside towns, and cities that are hundreds, even thousands of miles inland from the ocean. At upperstream areas, trash is generally visible, reachable, collectible and disposable at lower costs. 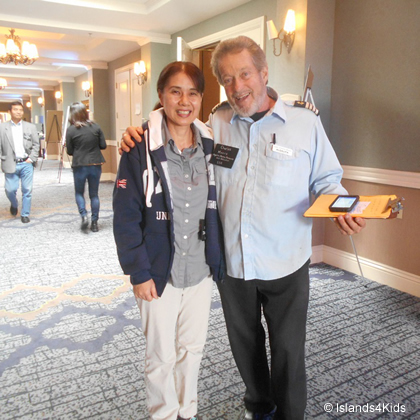 For our outreach efforts to connect to millions of young people across the globe, we are implementing a cross generational communication method to increase the input of information tochildren. To overcome this obstacle, we are developing BAOTecS to create customized online study courses and curriculums to be utilized by classrooms and individuals. Currently, we have two programs: K – 6, 7 – 12; each with a course curriculum, activities, and resources. Lessons begin with an encompassing curriculum of marine debris and then delve into the source of debris. Through offering activities and discussion questions, BAOTecS is intended on building critical thinking skills for children to develop their own thoughts and be encouraged to pour their creativity in discovering innovative solutions to establish proactive measures of preventing debris from entering into rivers and streams. 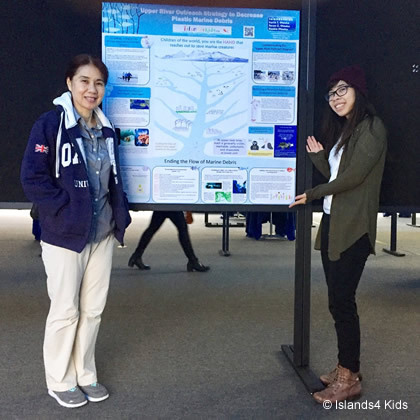 The Sixth International Marine Debris Conference was a week of learning, inspiration, and networking. More than 700 people from 50 countries attended to this conference. During our four days at the conference, we attended a number of technical session presentations and panels ('International Leadership' and 'State of the Science') that provided us with new knowledge and unconventional ways of studying marine debris. Copyright © 2018 Islands4Kids. All Rights Reserved.